Microsoft announced last month that it would continue to provide updates to its security products (antimalware engine and signatures) for Windows XP users through July 14, 2015, meaning that Microsoft Security Essentials will still get updates after support ends for Windows XP come this April. 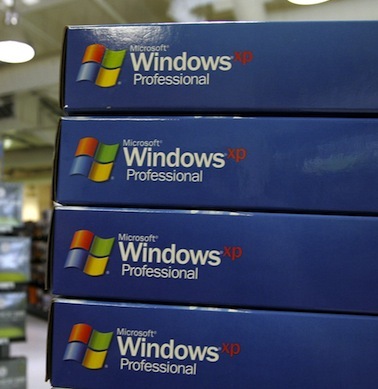 However, ZDNet reports that the next release of Microsoft Security Essentials, version 4.5, will feature prominent warnings to Windows XP users. It cites a reader (likely someone in Microsoft’s Security Essentials prerelease program) as saying that when version 4.5 is installed on Windows XP, a yellow bar warns that the PC is “potentially unprotected” and a yellow tray icon appears in the taskbar. These warnings don’t go away even if the system security scan is clean. Microsoft arrives at this solution as it is seeking to push users off Windows XP to more secure products, but doesn’t want to leave the many millions of Windows XP users out there completely vulnerable, which could do more harm than good.